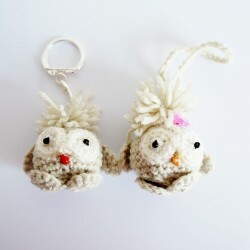 Thanks to their woollen or cord fasteners, all our handbag jewellery can be easily fixed in place. 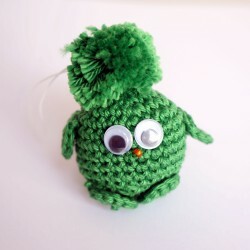 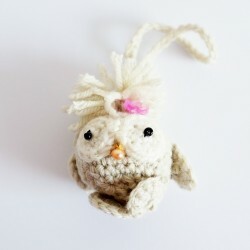 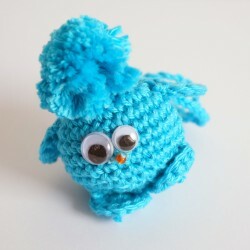 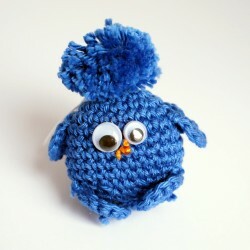 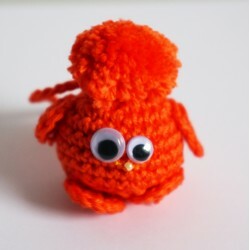 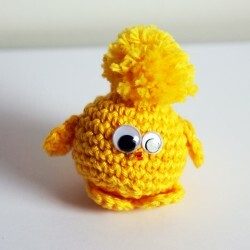 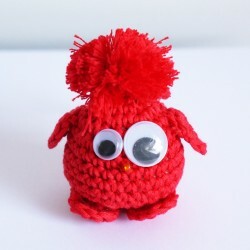 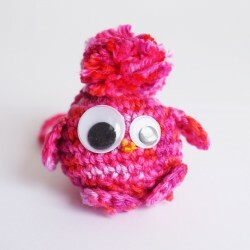 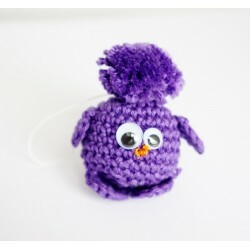 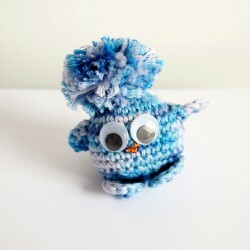 Most of them have been crocheted, in limited quantities, and are in the shape of a baby bird. 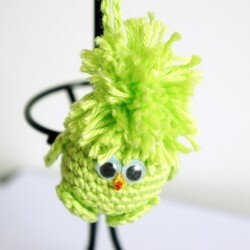 We’ve called this baby birds "piou-piou"; they are available in a range of colours and can’t wait to find their forever homes.